Northern terminus: Columbia County, at Highway 113 and the Merrimac Ferry in Okee. 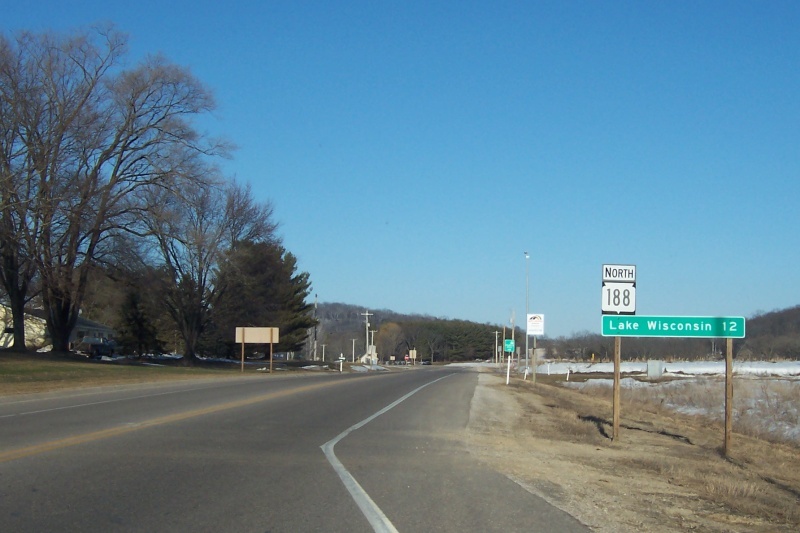 Quickie Summary: State “Trunk” Highway 188 follows the Wisconsin River to the east from U.S. 12 just south of Sauk City to Highway 113 where it meets the Merrimac Ferry. A short highway, it nevertheless makes for a pleasant drive with plenty of twists and turns, nice views and a winery making for a very enjoyable stop. 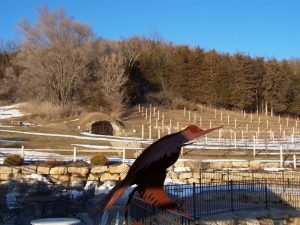 The short but fun little drive up Highway 188 starts right off U.S. 12, and other than the winery, you have one destination, according to the sign: Lake Wisconsin. 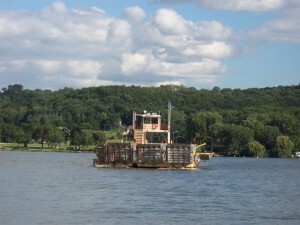 The Merrimac Ferry also awaits. 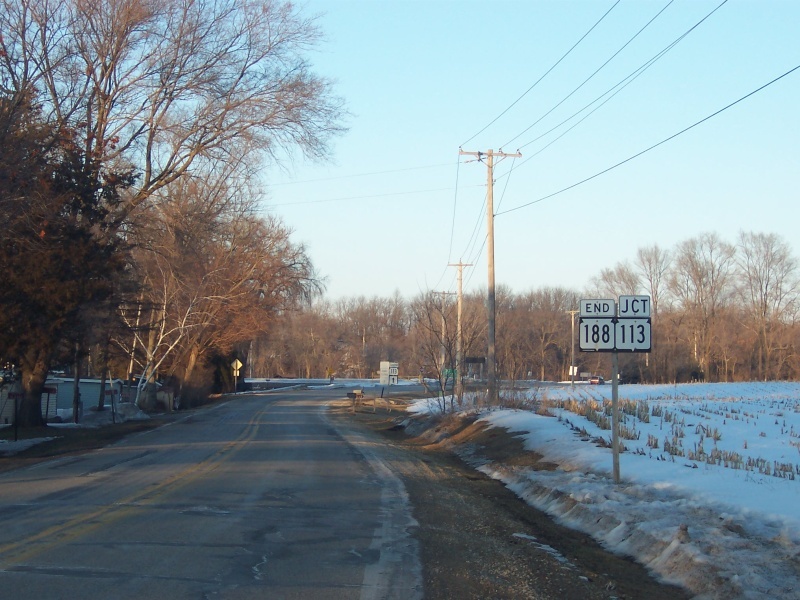 The Drive (South to North): Highway 188 begins at U.S. 12 just south of Highway 78 just south of the Wisconsin River in the Town of Roxbury. Nestled in the hills and bluffs that frame the area around the Wisconsin River, Highway 188 keeps you busy with curves and hills. About two miles into the route, you’ll encounter the Wollersheim Winery. The Wollersheim Winery is tucked into the hills, with vineyards stretching all along around a cluster of buildings where they work their magic. As far back as the 1840s, this beautiful setting was selected for winemaking. Indeed, Wollersheim’s original winery building dates back to 1858, and an expansion that holds the gift shop and visitor space opened a mere 150 years later. Wollersheim Winery began here in 1972 and continues as a family business to this day. 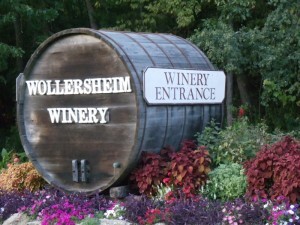 The entrance to the Wollersheim Winery, colorful in the warm months with plenty of flowers. 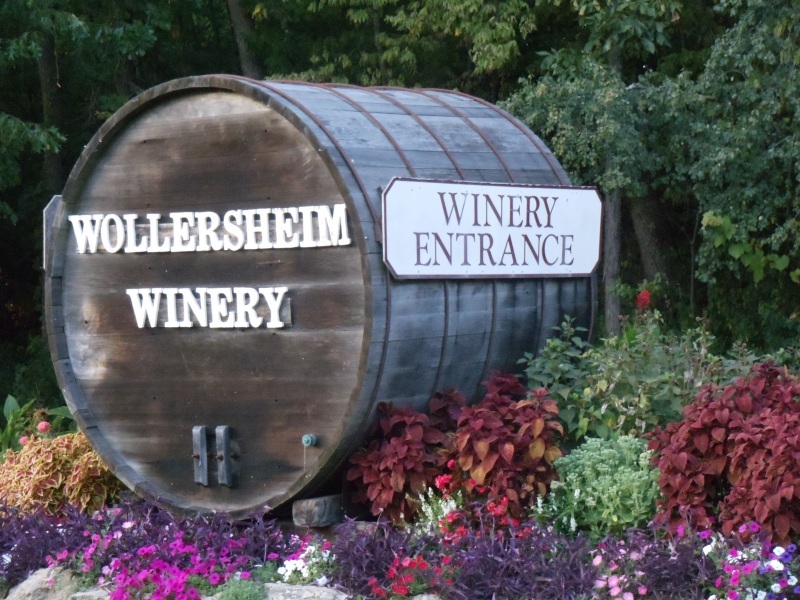 Today, Wollersheim Winery produces over 240,000 gallons of wine annually and rakes in award after award (here’s just what they won in 2009.) 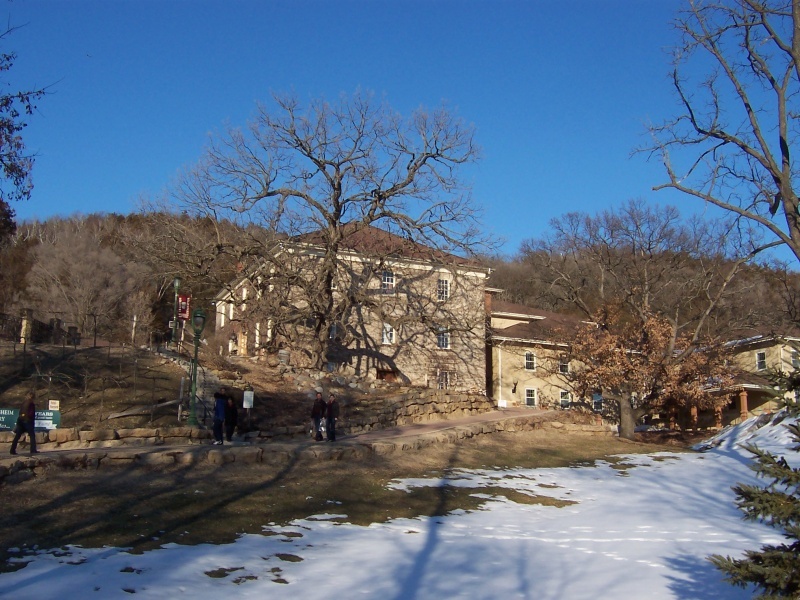 They are open year ’round from 10-5 and offer guided tours daily. Find out more here or call them at (800) VIP-WINE. The original winery building for Wollersheim, visible on the right, dates back to 1858. Before or after a tour, feel free to sit up near the eagle and sample some wines. You get a lovely view of the winery’s buildings, grapevines and the cave that served as the original wine cellar. And yes, there are bald eagles around. 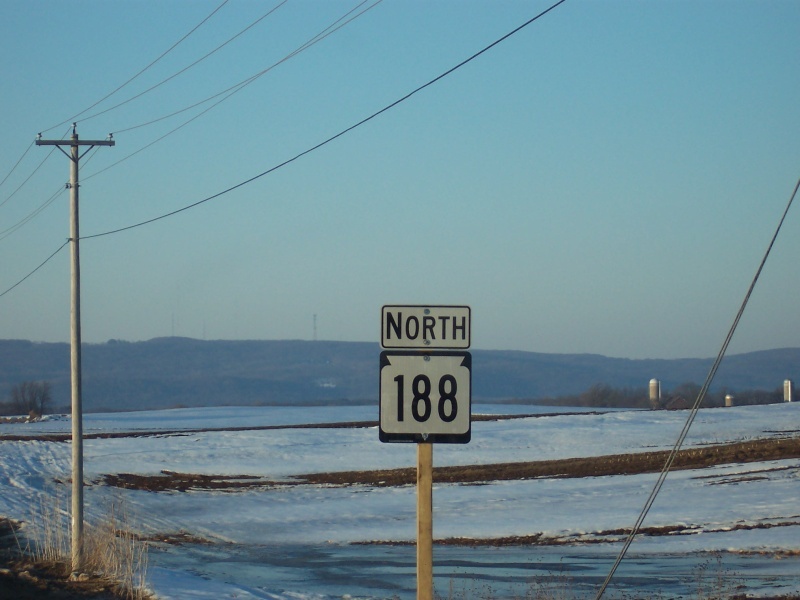 Beyond the winery, Highway 188 continues to wind around before meeting up with Highway 60, just east of the Wisconsin River bridge that takes it into Prairie du Sac (pop. 3,231). 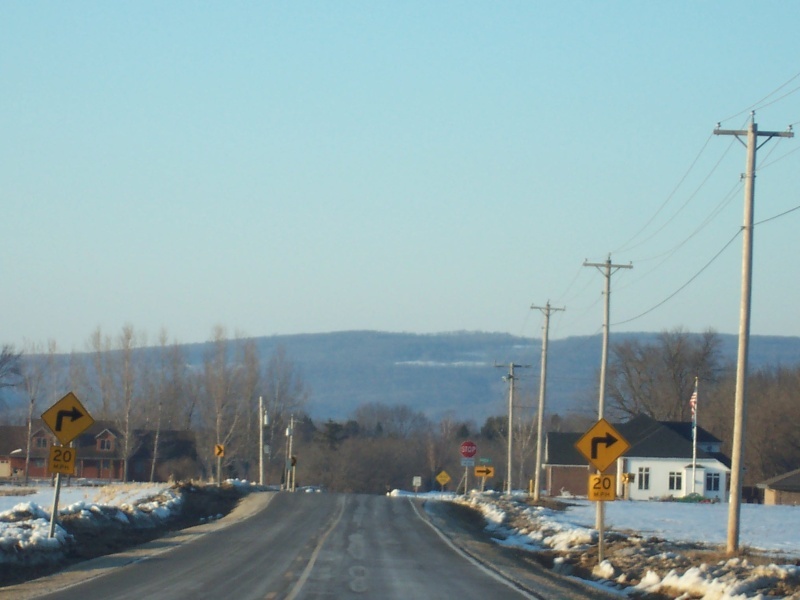 This is Eagle Country, where bald eagles – and perhaps some with hair – can be regularly spotted. Prairie du Sac and Sauk City (pop. 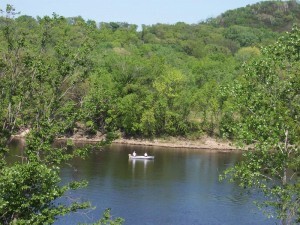 3,019) are essentially twin cities and collectively the area is called Sauk Prairie. Sauk City itself is Wisconsin’s oldest incorporated village (1854) and is the site of the first Culver’s restaurant ever (1984). Culver’s headquarters, meanwhile, is in Prairie du Sac. Don’t ever question putting butter on a burger around here. 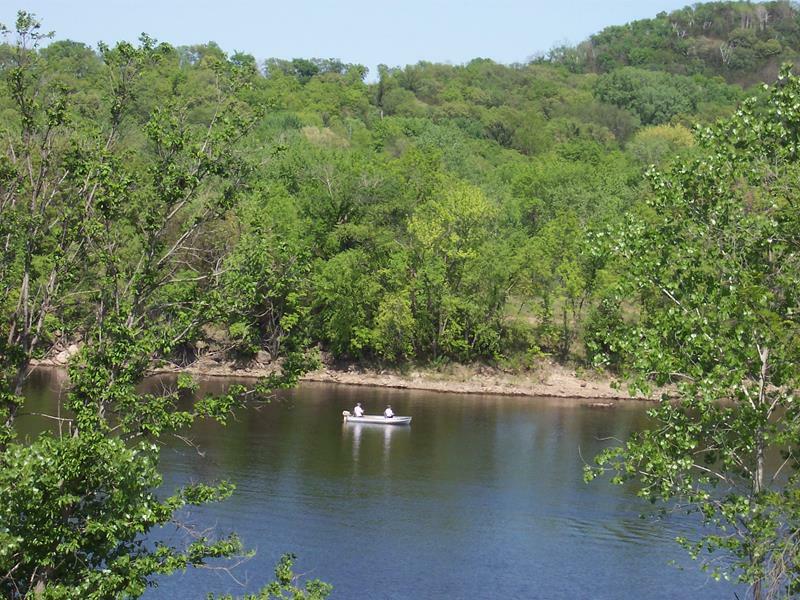 The Wisconsin River at Prairie du Sac, whether you’re on the west bank (Highway 60) or the east bank (Highway 188), features great fishing, scenic terrain and good eagle-watching. 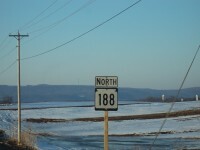 Highway 188 follows Highway 60 to the east for about a mile before breaking north again. From Highway 60 on north, there’s very little in the way of businesses, towns or even residences for most of the stretch; it’s pretty much all about twisting and turning as you enjoy the scenery. 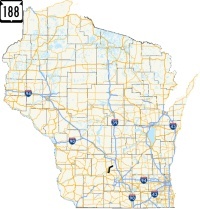 The Wisconsin River is just to the northwest of Highway 188 the whole time, which is why you’re always going north, then east, then north a bit, and then east again. This stretch is fun to drive or ride on, but note that it’s a bit narrow and there are a lot of blind curves. Barrel down the road carefully! 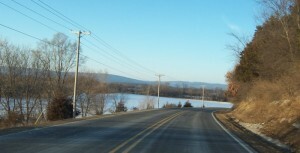 North of Highway 60, Highway 188 rides the edges of hills and you get sweeping views of the Baraboo Range to the north. On this section, you’ll make more than a few 90-degree turns. 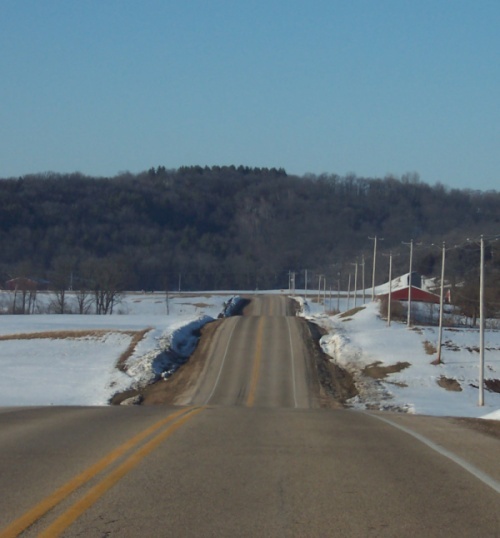 Highway 188 heads through a lot of farmland; the soil is rich because you’re in the valleys formed by the Wisconsin River. 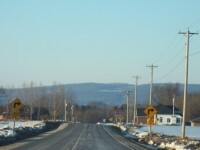 The Baraboo Range provides a formidable background. 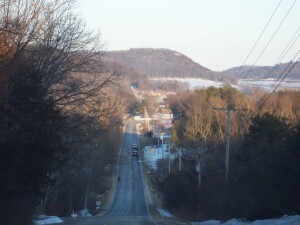 Portions of Highway 188 climb up on some ridges overlooking the river and Lake Wisconsin. 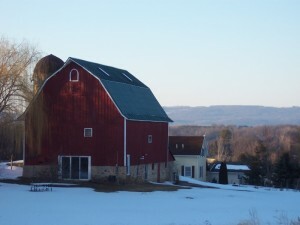 Here’s a nice shot of a barn with the range in the background. Further down, you descend one of the ridges and get this view of the bluffs in the distance. 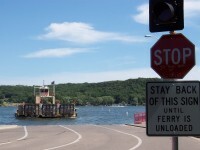 Highway 188 comes to an end at the Merrimac Ferry, which carries Highway 113 across the Wisconsin River between Okee (the side Highway 188 is on) and Merrimac, on the other shore in Sauk County. You can go north on 113 and cross the ferry, or continue straight, which puts you southbound on 113 and on the road to Lodi, looping back to the Highway 60 you crossed before near Sauk Prairie. 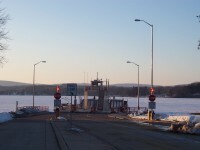 Highway 188 ends at Highway 113’s junction with the Merrimac Ferry – the last remaining ferry on the State Trunk Highway system. 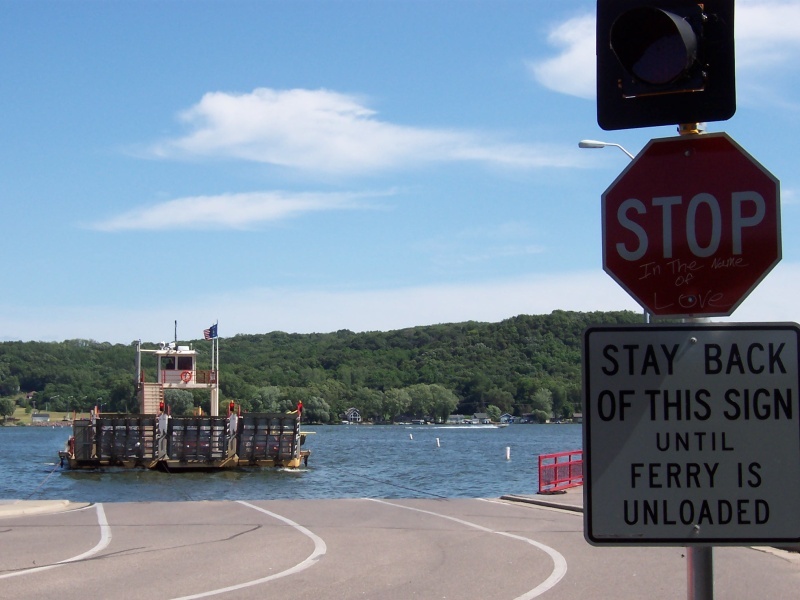 The Merrimac Ferry began as a toll ferry in 1924, becoming free in 1933. It has been ever since. 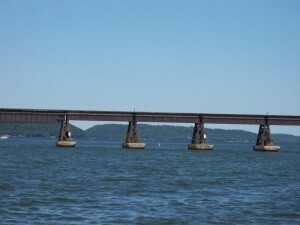 The Colsac III, launched in 2003, is the third boat (hence the “III”) to serve this run and can accommodate 15 cars at a time. Expect a pretty hefty line during summer weekend days, especially in August. They’ll take care of you, though: vendors offer ice cream and other ways to enjoy the day, even when you have to sit and wait. 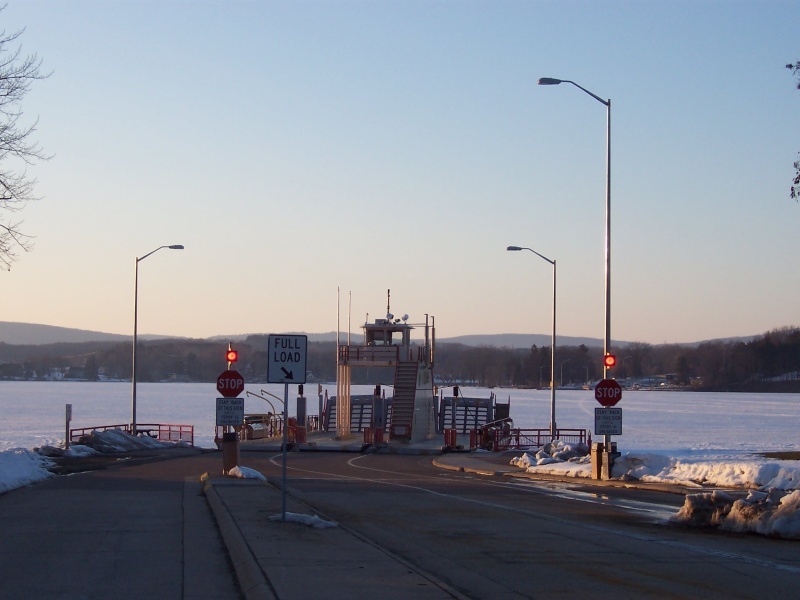 The Merrimac Ferry generally runs from about April 15 through the end of November. – but weather can always be a factor. You can always call them at (608) 246-3871 to check availability and wait times. 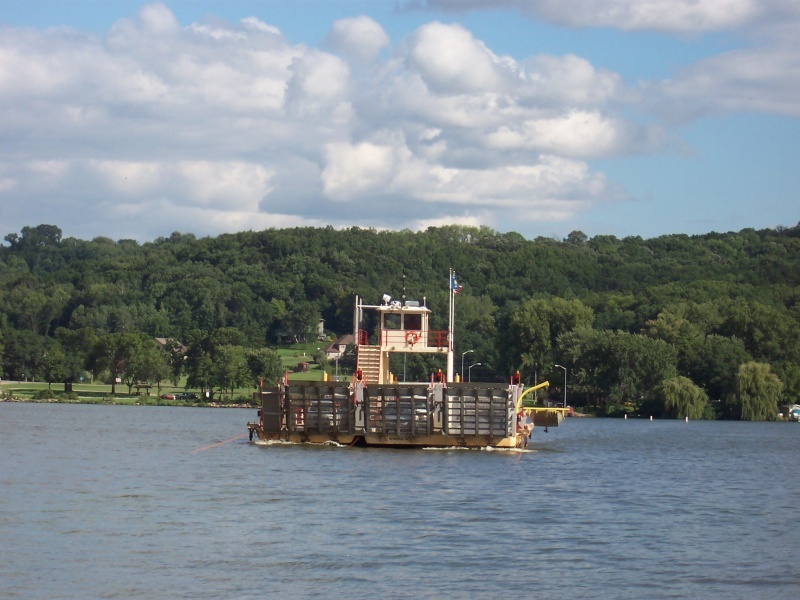 The Merrimac Ferry runs from April to November. 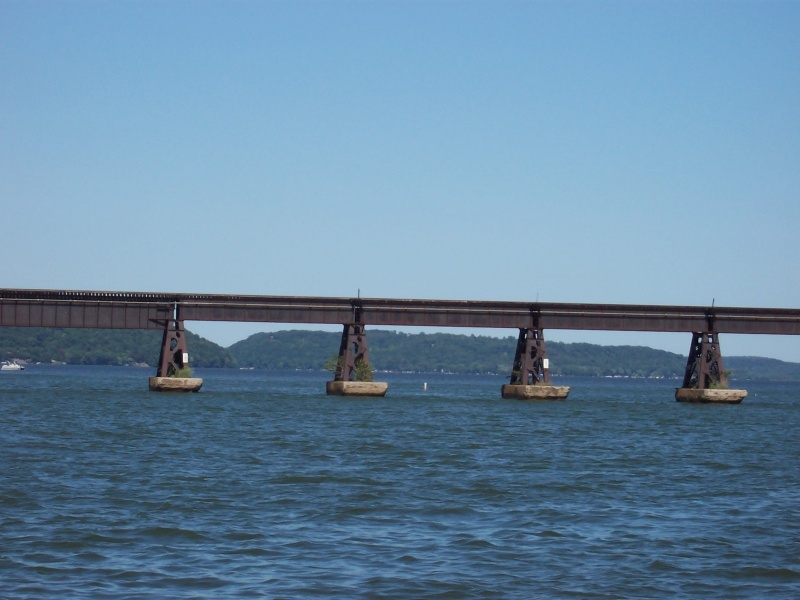 In the winter, the Colsac III is tied to the south shore, on the Highway 188 side. It’s definitely worth the crossing! 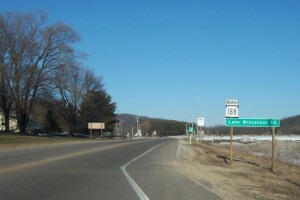 At the end of Highway 188, you can follow Highway 113 back south towards Lodi and Madison, or head across (in season) via the Merrimac; Highway 113 can take you to Baraboo and Highway 78 also awaits on the other side, which can take you back south to Prairie du Sac on the west side of the river or north towards Portage and central Wisconsin. Or, you can double back to the winery… it’s up to you. Have fun!